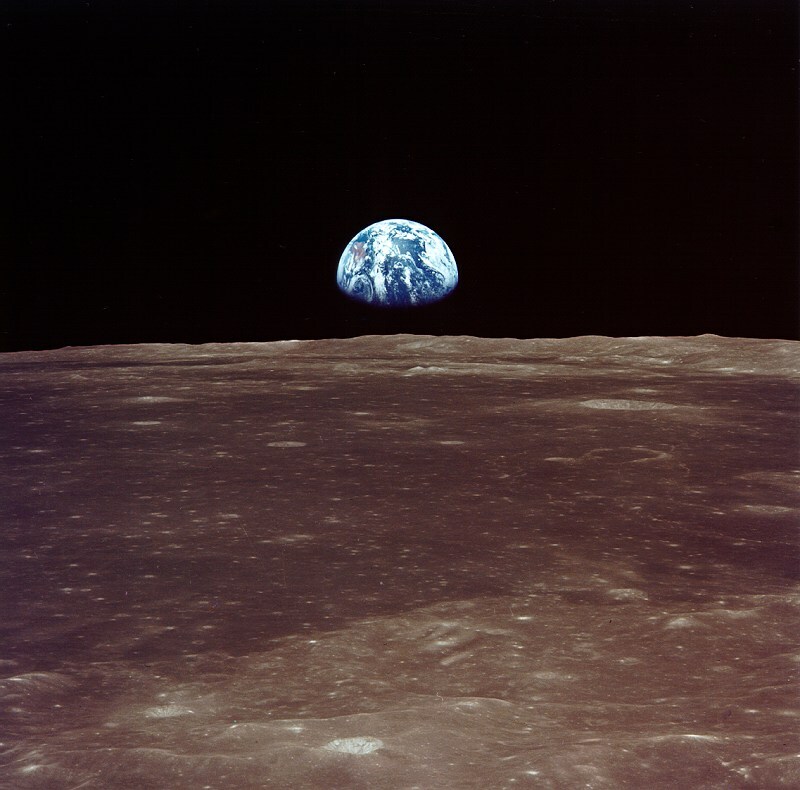 Physics Buzz: Where were you when we landed on the moon? I think I'll always regret not being alive during the moon landing, forty years ago today. If the Beatles form Exhibit A in the case for me being born in the wrong decade, Apollo 11 is exhibit B. I can't remember it, so what I remember is my dad describing the moon landing as a near-psychedelic experience, forever bound to the bad classic rock song he happened to be listening to at the same time. Figures. It was 1969, and he was 21 years old, living in his parents' basement in Queens, which was lined with those slender, acid-yellow paperbacks that formed the Old and New Testaments of his childhood: Heinlein, Kornbluth, Verne, Asimov. "I was jumping up and down in that basement cave with all the science fiction books that I'd grown up with, and it was actually happening," he recalls. A ghostly Neil Armstrong stepping off a ladder 240,000 thousand miles away flickered on the old black-and-white, while WBAI FM simulcast Lothar and the Hand People's "Walking on the Moon." The song may not have stuck around in the collective memory, but in my dad's mind it became inextricably linked to big leaps forward. "The first thing I did on the internet was track down that song," he says. My mom has an entirely different take. "I didn't see it, but I did hear it," she says. Fresh from nursing school, she on duty at a rural hospital in central America, far from Cape Canaveral, NASA, and psychedelic rock. There were no televisions in the hospital, but she and her colleagues noticed that a very strange report was coming in on the patients' radios. "Everyone was listening and the doctor was saying, 'You know, they put a guy on the moon.' And everyone was like, 'No way, there's no way that we've done that,'" she remembers. "Everybody was skeptical that it had actually happened, until we went home, and then we saw it on TV." Armstrong: "we could not see any stars out the window" but "I'm looking at the Earth. It's big and bright and beautiful." Just clicking on the Apollo 11 trending topic brings up a constant stream of Apollo 11-related news, facts, and musings—"'The moon's an arrant thief, And her pale fire she snatches from the sun.' -Will Shakespeare," tweets @janeaustenworld—from around the globe. If you're one of the hundreds of millions of people who watched the first moon walk live, please tell us about it. If you're too young, ask a parent, grandparent, or teacher to tell you their Apollo 11 story, then post it here! I was in neonatal care. I was born 2 days earlier and a month premature. I don't remember much about it at the time! I was playing in the backyard in Houston (my dad was a NASA engineer - you can see him in some of the news footage of the control room). My mom called me inside to see the landing. I don't remember being impressed. But I was only 4, and the fire ants out back were much more interesting at the time.